the hearts of the customers. 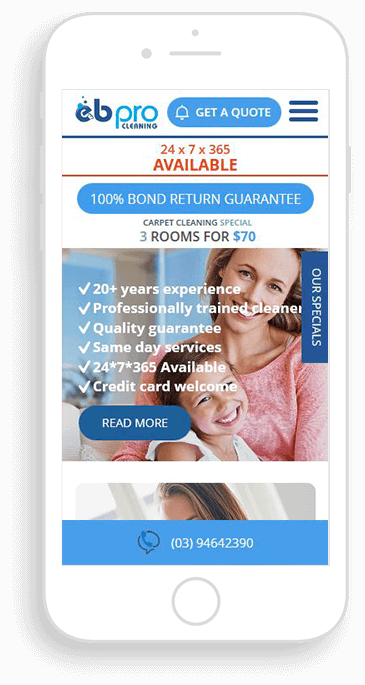 designers have included some modern actions with the cleaning company. 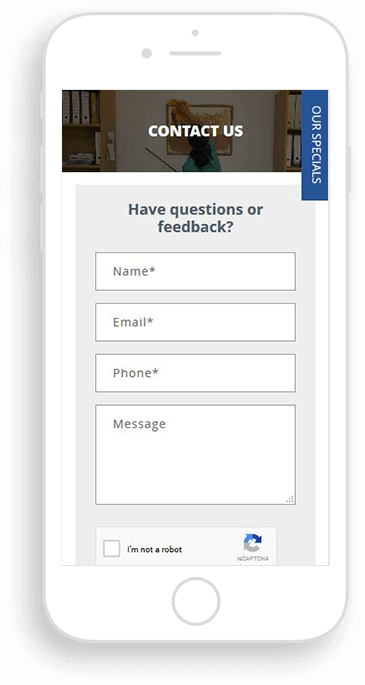 As the client is related to cleaning here, therefore, the design should be fresh and clear. 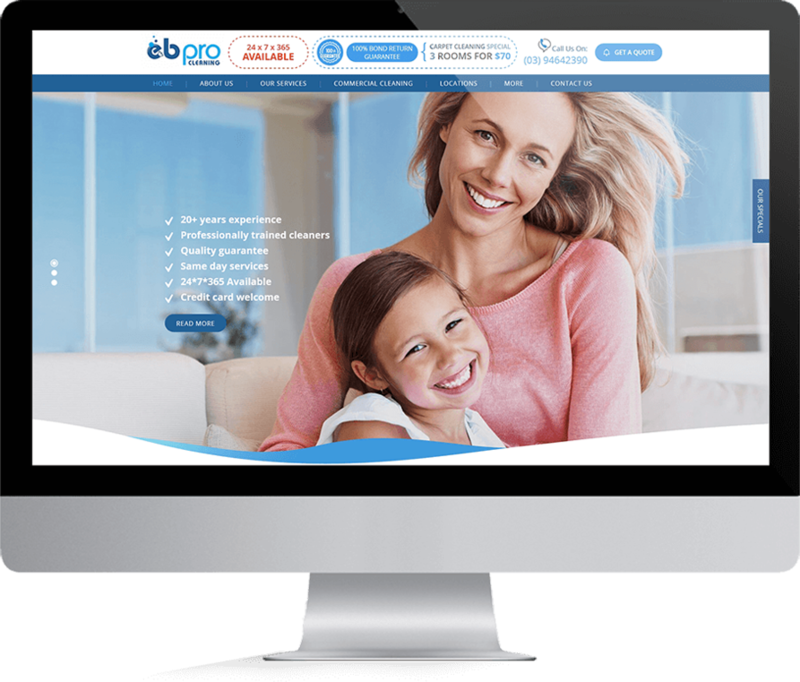 EB Pro Cleaning is a valuable client of Win Digital Sydney since last two years. 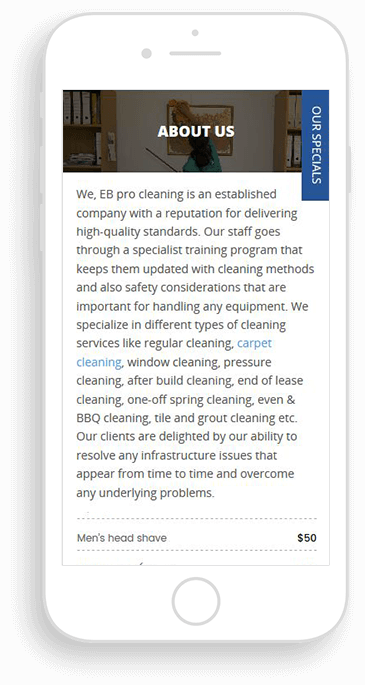 During this time, we are delivered page #1 results for EB Pro Cleaning for several extremely competitive phrases including “residential cleaning”, “restaurant leaning company” and “Carpet Steam Cleaning Doreen”. Negative SEO assessment and Penguin Penalty Lift. Organic traffic continues to be a major source of goal completions.